Hello! I’m so excited to share this post with you today! 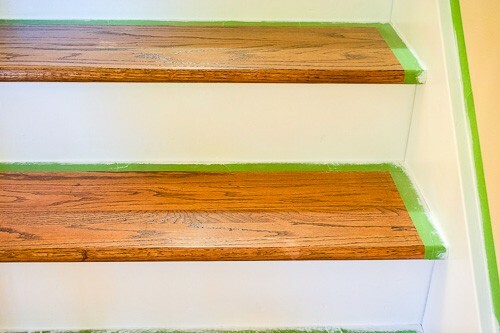 If you happened to see this post from last week, then you have already had a sneak peak at my newly redone stairs. Well, as promised, I am going to break down the entire process for you and show you how we went from carpet to hardwood stairs for under $100. Let’s get started! Rip up the carpet! Woohoo! I have been wanting to do this makeover for a couple of years now, as I have hated the carpet since the day we moved in. It’s not hard to see why I hated it. I finally nailed down a date for my dad to come help. (Because, let’s face it, we would have been totally lost otherwise…) A few weeks before he came down, he asked me to peel back the carpet a bit in order to see what was underneath. We needed to know exactly what we were going to be working with. Well, we totally hit the jackpot and discovered that it was unfinished oak underneath all that ugly carpet. This immediately made the job infinitely easier (and cheaper). I also realized that the entire upstairs hallway, which is also covered in the same carpet, is unfinished oak as well. So, I cannot wait to be able to do this same thing to the hallway. Anyway…back to ripping up the carpet. My husband and dad were in charge of this task. They simply started at the bottom corner and began ripping and tugging away. Prepping the stairs for sanding. Next up, the tack strips had to come off. Just take the flat, hook end of a crow bar and use a hammer to drive it underneath the tack strip. 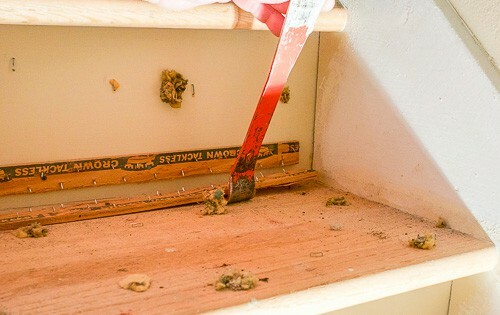 Then, pull the handle of the crowbar down towards the floor to dislodge the tack strip. Simply work your way down the entire length of the tack strip doing this. If it breaks, no problem – it’s all going in the trash anyway. Just toss it and keep going. Then, using a pair of nipper pliers , pull up all 3,945 staples that are in both the treads (horizontal surface) and the risers (vertical surface). 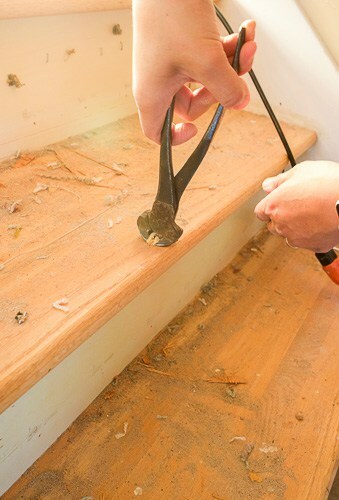 The last thing to do before sanding is make sure all of the nails are sunk down into the wood. A nail setter is what you’ll need for this. 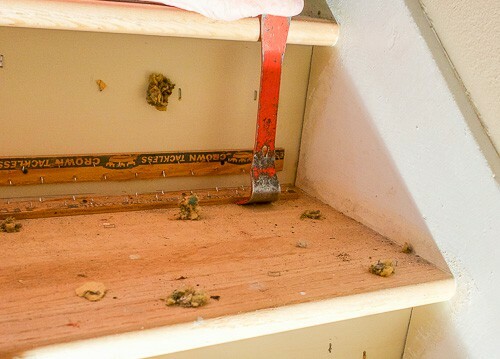 Place the nail setter on top of each nail and gently tap with the hammer until it has sunk below the surface. This step creates a fair amount of dust. So, you may want to shut doors, or hang plastic sheets in surrounding doorways. In our case, the bottom few treads had stain, finish, and carpet glue on the outer edge. So, we sanded until the unfinished wood was nice and smooth, and the edges (finished wood) were completely stripped of finish and carpet glue (hence the coarse grit). We did not, however, worry about completely stripping the stain, as we were planning on simply matching it. Once finished, make sure to vacuum well before starting the next step. We used Minwax Wood Finish Penetrating Stain in Red Oak . This was the closest color match to what had previously been on the stairs, as well as the railings. The same color is also in all four bedrooms upstairs. So, whenever we get around to finishing the hallway, all of the wood will match. 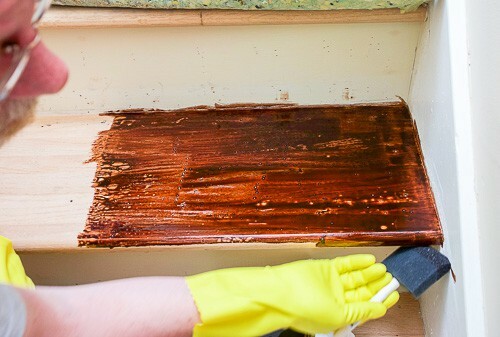 Using a disposable sponge brush , lay a think coat of stain down on the tread. Once you have coated the entire tread, go back and wipe away the excess stain with a rag. 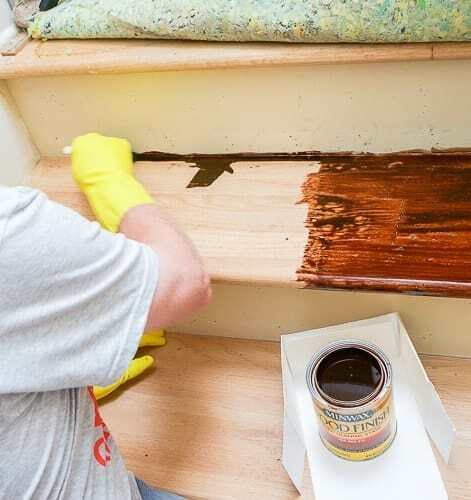 The stain requires 8 hours to set before you move on to the final couple of steps. 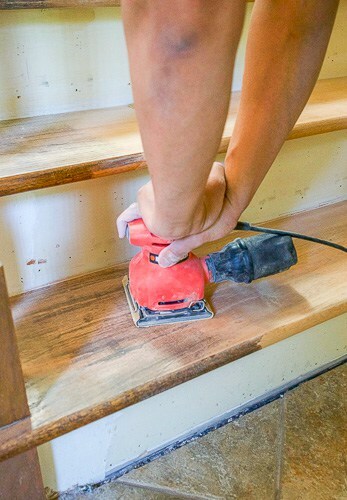 Fill nail holes in treads. I didn’t happen to get any photos of this step. So sorry! It’s pretty simple though. 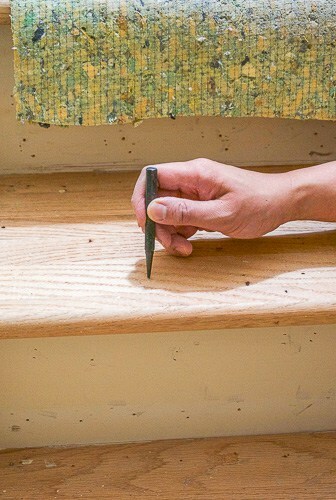 Using a filler pencil that matches your stain, work a bit of the filler into the small space left above the nail head. Wipe away excess so that it is level with tread. We used Minwax 110076666 N0 7 Blend-Fil Wood Repair Stain Pencil, Mahogany . Clearly, I was just ready to be done at this point, because again, I don’t have any photos. It’s pretty much the same as Step 4 though. Using a clean/new disposable sponge brush, paint a thin coat of polyurethane (semi-gloss) on the treads. The polyurethane requires two-hours to dry. Once dried, sand very lightly with fine grit (220) sandpaper. Repeat with a second coat. Then, put a third, and final, coat of polyurethane on the stairs. After the final coat is dry, go over it very lightly with 0000 super fine steel wool. 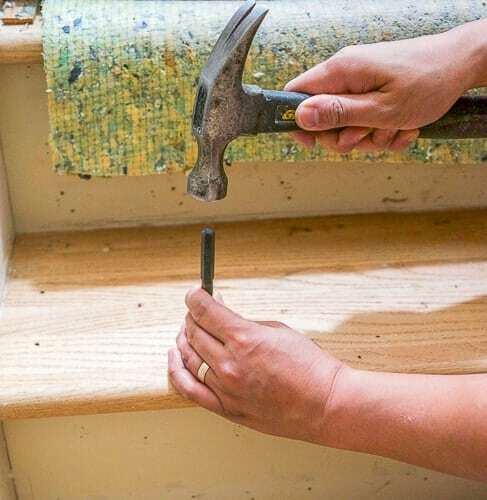 Fill nail holes on risers. For this, simply take a small amount of spackling paste and fill in the holes. 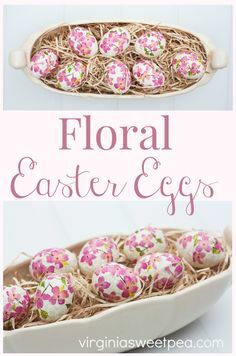 You can use your finger or a putty knife. Once the spackle has dried, sand the excess off until smooth. The final step is painting. Tape off the edges of the treads, as you don’t want to get paint on your newly stained and finished treads. Frog tape works best for this. 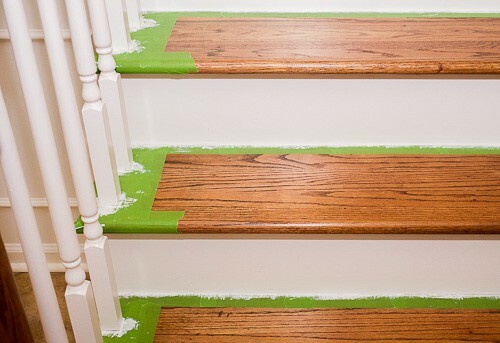 If you are still nervous about getting paint on the stairs, you can always cover the entire tread with paper. You can find brown paper rolls at the hardware store. It’s often next to the paint supplies. And that’s it! 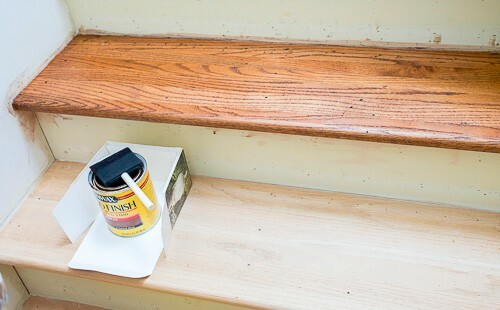 A total stair makeover for minimal investment. And don’t forget to check out this post to see our entire entryway makeover. 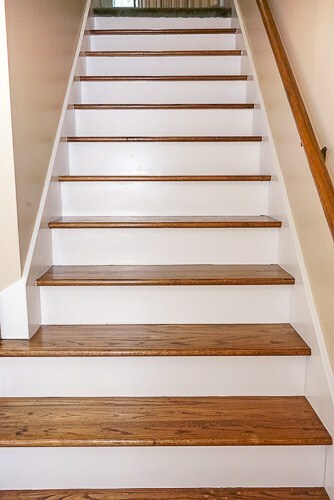 Your stairs turned out gorgeous! 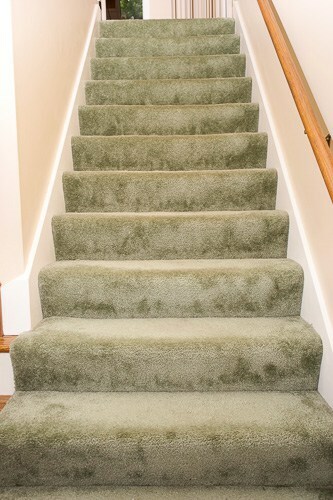 I can see why you didn’t like the carpet, and looks like a lot of work removing it, and get the stairs ready for stain. But I say it was well worth it. It made a huge difference. Great job! Thank you! It was a fair amount of work, but the fact that there was already hardwood underneath the carpet made the whole process much easier. And it was definitely well worth it! I’m so glad this is up Amy, I’ve been looking forward to seeing how you did the stairs. One has to wonder why on earth anyone would want to cover those gorgeous stairs in a carpet in the first place. Maybe the color didn’t match their decor or something? Anyways, the stairs look so amazing now. Did you have to live downstairs while you waited for the stain to dry? Thanks so much! And I know, right? I can’t believe someone would carpet over such great hardwood, but I’m glad that I discovered it under there! We did try to stay off the stairs as much as possible during the process, but we didn’t go so far as to live downstairs. We did have to plan and time things around my daughter’s nap/sleep schedule a bit, though. The stain didn’t actually take all that long to dry. It was just required to set for at least 8 hours before putting finish on it. Your new stairs are beautiful. Its wonderful that you had pre-existing oak under the carpet. Great job and obviously worth the effort. Thank you! And the oak was a wonderful discovery! It made things so much easier, plus, now I can look forward to redoing the upstairs hallway, as well. Definitely worth it. Thanks again! 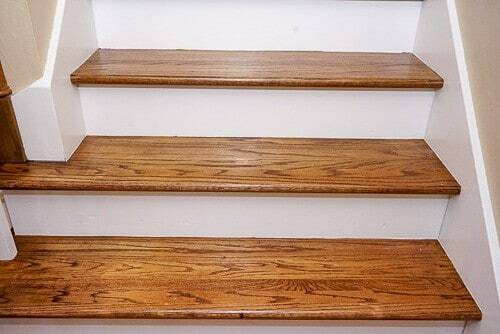 We want to do hardwood but I keep hearing how expensive it is… Especially on the stairs! So glad to find this — thanks for sharing! It can definitely be expensive. We were thrilled to find out we already had hardwood underneath the carpet. Maybe you will get lucky, too! If not, it would at least be worth getting an estimate. It may not be as bad as you think. Thanks for looking! What a beautiful transformation! How blessed to have that oak under your carpet. Looks great! I know. It was definitely a lucky break! Thanks so much for the compliment and for taking a look! It looks like you did a LOT of work on this project. Kudos! The result is gorgeous! I agree that the newly refinished stairs are so much more attractive than the carpet. Thanks for an excellent tutorial, too. 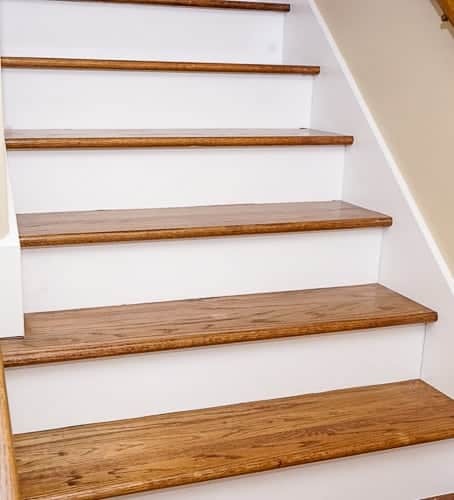 Your staircase turned out great! Thank you! My husband and dad actually did the bulk of the work. Lucky for me! Although I did with all the painting. 🙂 Thanks again! We are definitely enjoying the new look. from https://thefelicianojourney.com/ first time visiting your channel from a link up..
will keep this saved in case we moved to a second story house.. Thank you! I love DIY, as well. My dad has always been in the construction business, so he is capable of DIYing pretty much anything. It’s so nice to be able to do things yourself without having to rely on someone else. Thanks so much for stopping by! What a transformation! I love that you provided so much detail. Now to see if this is even an option on our stair treads! 😬 Thanks so much for sharing at the #happynowlinkup! Thanks so much! 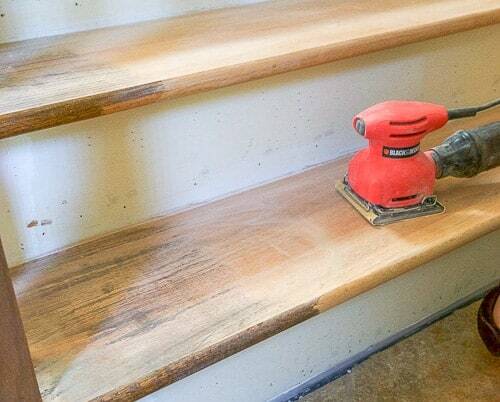 Maybe you’ll get lucky, too, and be able to transform your own stairs. 🙂 Thanks for always hosting a great party! I’ve been looking for a tutorial like this for ages! We have a set of stairs that looks a lot like your before pictures and I’ve been wanting to rip up the carpet for a while now. 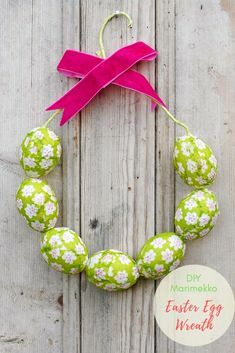 Your DIY is SO easy to follow. Thanks for providing the step-by-step of how to do this. It looks easier than I thought! Definitely pinning this one. Thanks for sharing, Amy! Thank you! I’ve been desperate to get rid of the carpet for years. And, of course, now I just wish I had done it sooner! Thanks so much for sharing, and I’m glad that you found it easy to follow. Hopefully, you can redo your own stairs soon! Thank you! 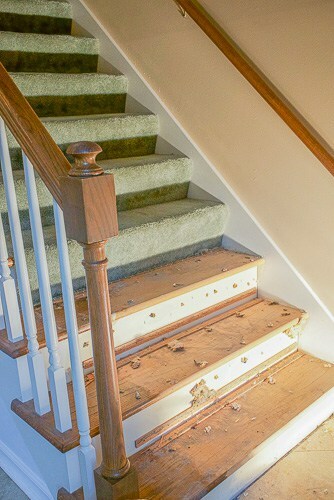 We were totally prepared to purchase oak treads for the stairs, because we assumed it was probably plywood underneath. So, we were thrilled to find the oak already there! Thanks so much for the share! Thanks so much! And you are definitely right – we totally lucked out!